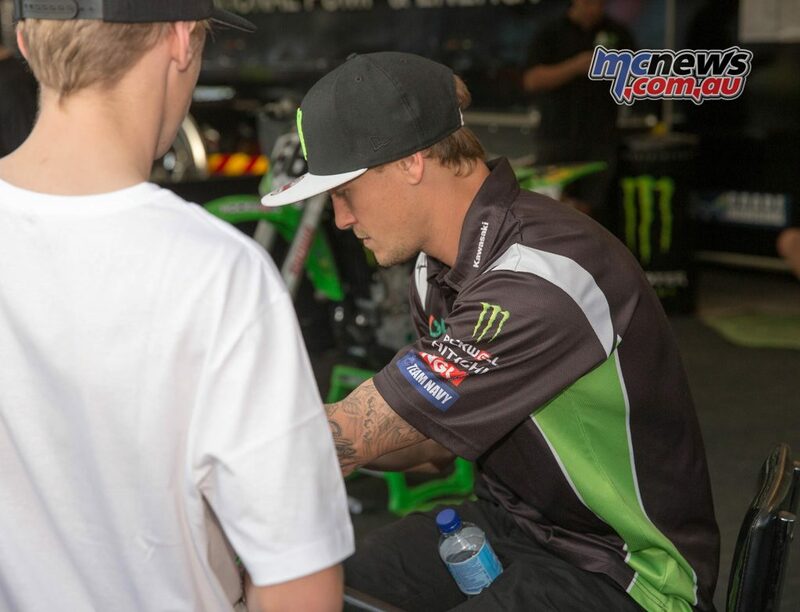 Desalle Out of MXoN – Brent Van doninck IN! 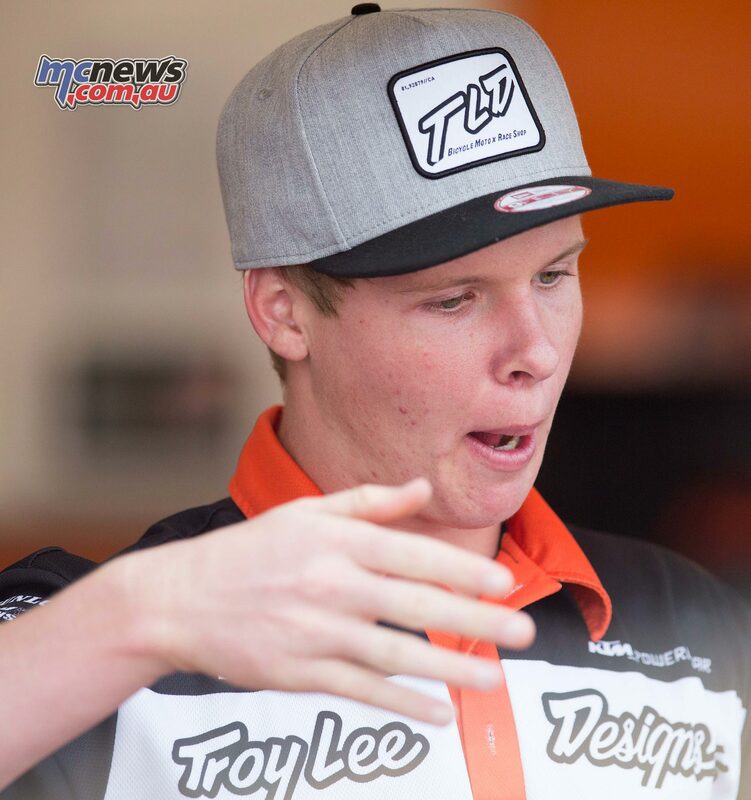 A last minute change to the 2016 Motocross of Nations (MXoN) Australian Team competing in Maggiora, Italy this September 24-25, 2016 has been made after current Australian Motocross MX2 Champion Jed Beaton, after Beaton sustained a collarbone injury during practice in Europe on Friday, September 16, forcing him to withdraw from the competition. 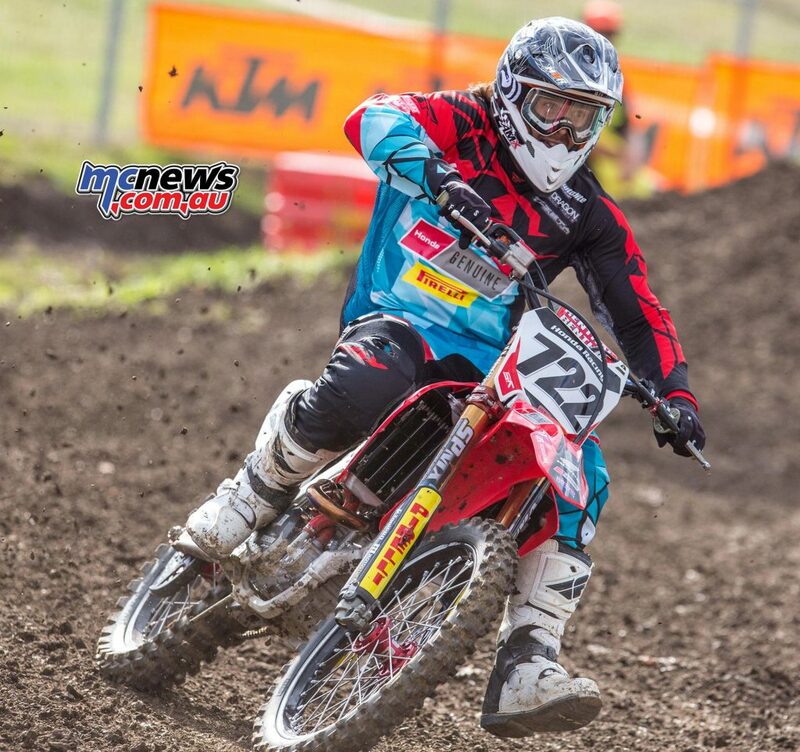 Current Australian Motocross MXD Champion Mitch Evans will replace current Australian Motocross MX2 Champion Jed Beaton, after Beaton sustained a collarbone injury during practice in Europe on Friday, September 16, forcing him to withdraw from the competition. 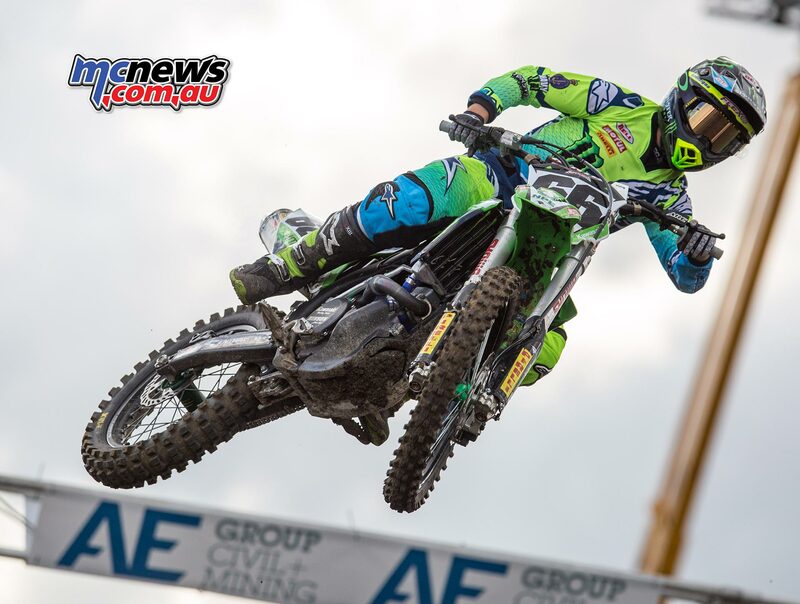 Evans, who will compete in the MX2 class this weekend, is now on his way to Europe to join current MXoN Australian Team competitors Dean Ferris and Todd Waters before the event. 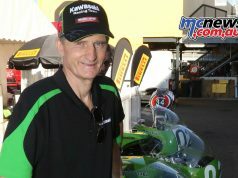 Despite the setback, the Australian Team feel they have a strong replacement in Evans. 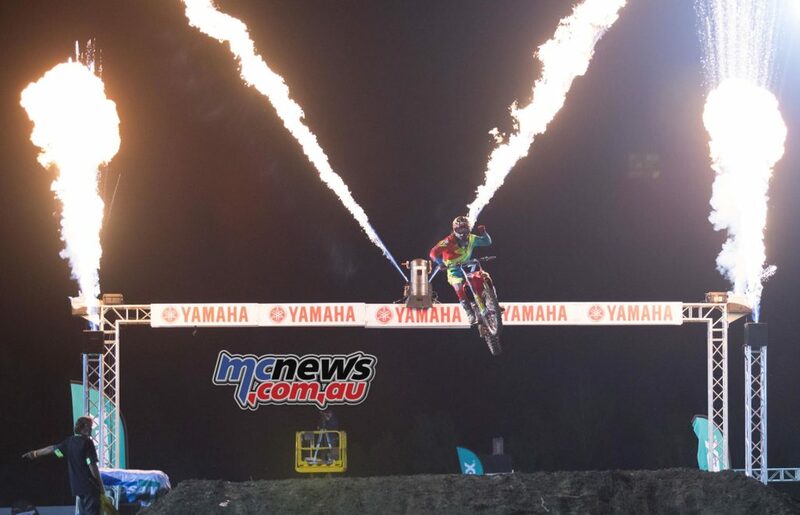 This will be Evans first appearance in MXoN representing Team Australia and despite the occurrence of events Evans is excited to represent his country and show his talent to the European scene. 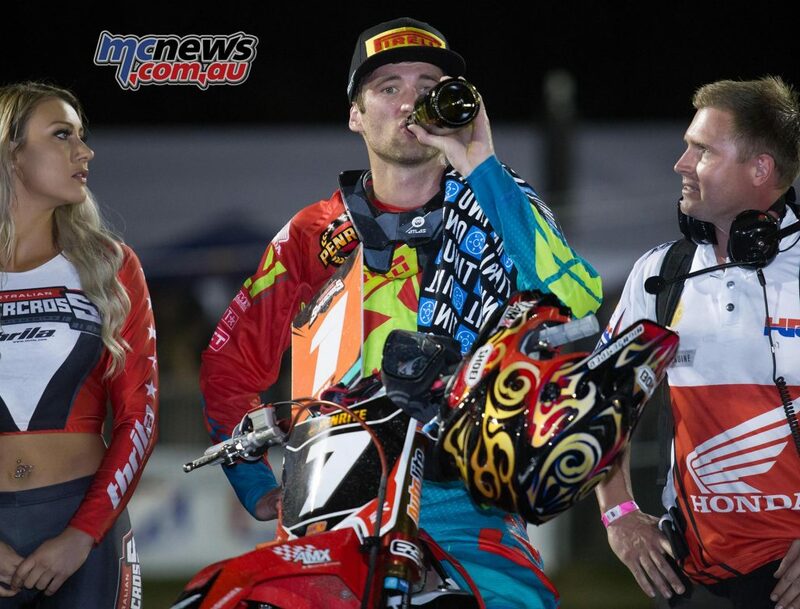 Caleb Ward will be sidelined for this year’s Australian Supercross Championship after it was revealed that the KTM star inadvertently rode the USGP at Glen Helen with a broken ankle thanks to a savage case-out at Pala Raceway leading up to his first international event. 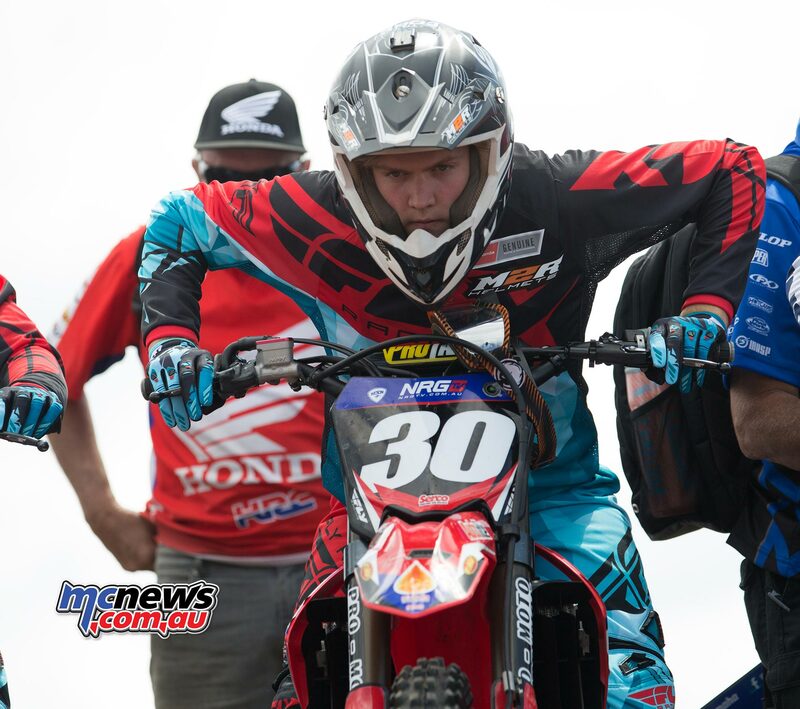 Crankt Protein Honda Racing Team rider Dylan Long will not compete at the opening two rounds of the 2016 Australian Supercross Championships thanks to an on-going thumb injury. 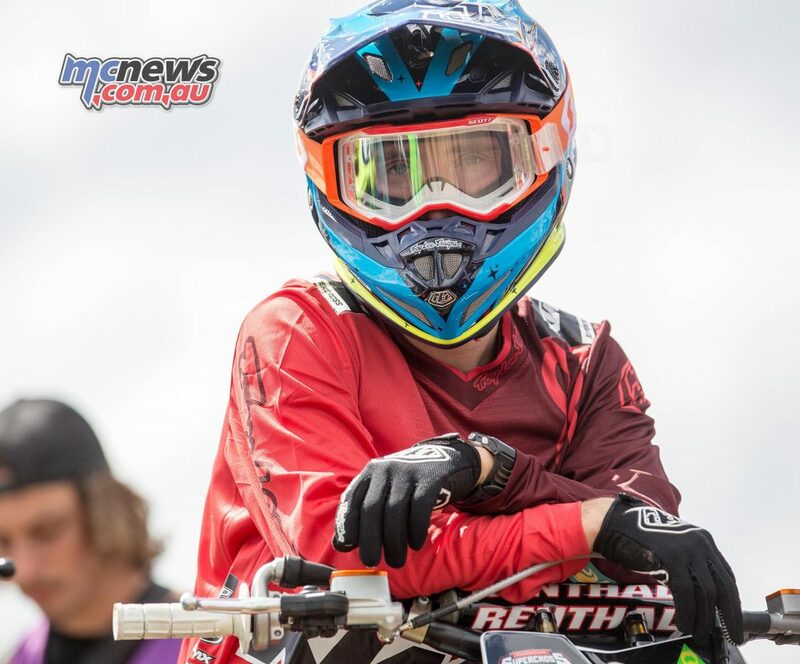 Former Yamaha factory star Timmy Ferry will be hosting a motocross coaching clinic on the 8th and 9th of October at the ACT Motorcycle Club facilities with the help of his prodigy Hayden Mellross and veteran speedster Cody Mackie. 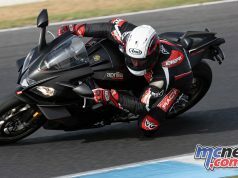 The training is aimed at riders with racing experience and will cover a long list of skills and techniques to help you lower your lap times and hopefully improve your results. Limited to 50 riders per day to maximize personal coaching experience is delivered to each rider. 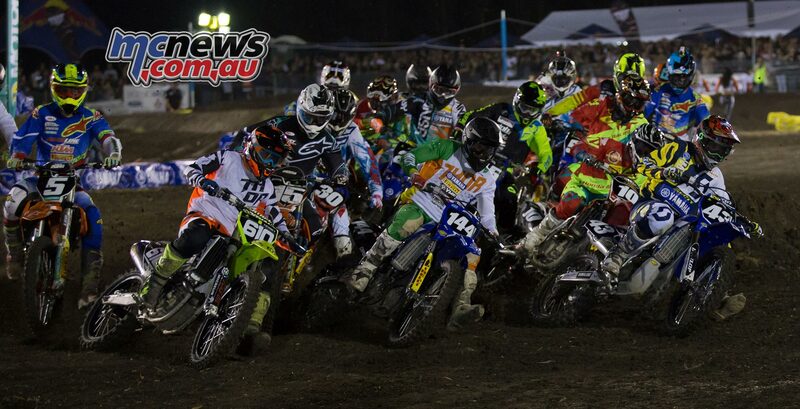 Cost will be $250 per day enter so email ACTMCC@live.com.au to enter. 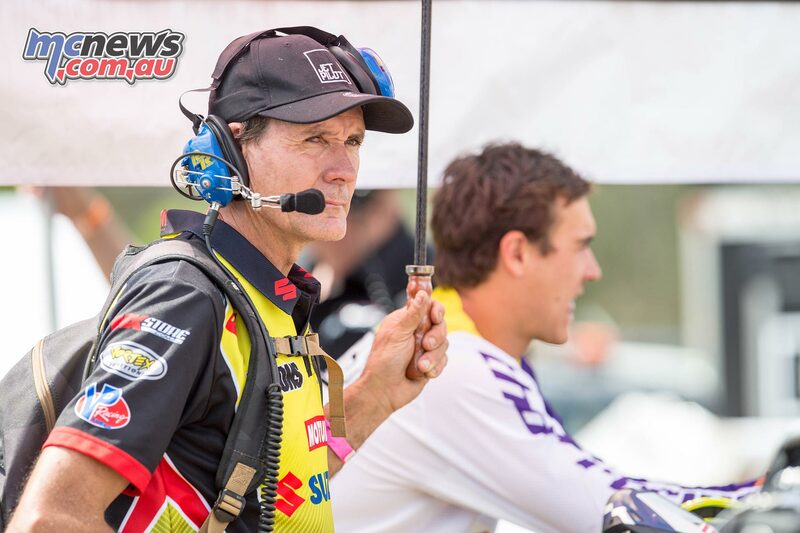 Two-time Enduro World Champion and former ISDE overall winner Johnny Aubert will compete in rounds 11 and 12 of the GNCC series at Marvin’s Mountain Top, Masontown, WV and Powerline Park – St Clairsville, OH. 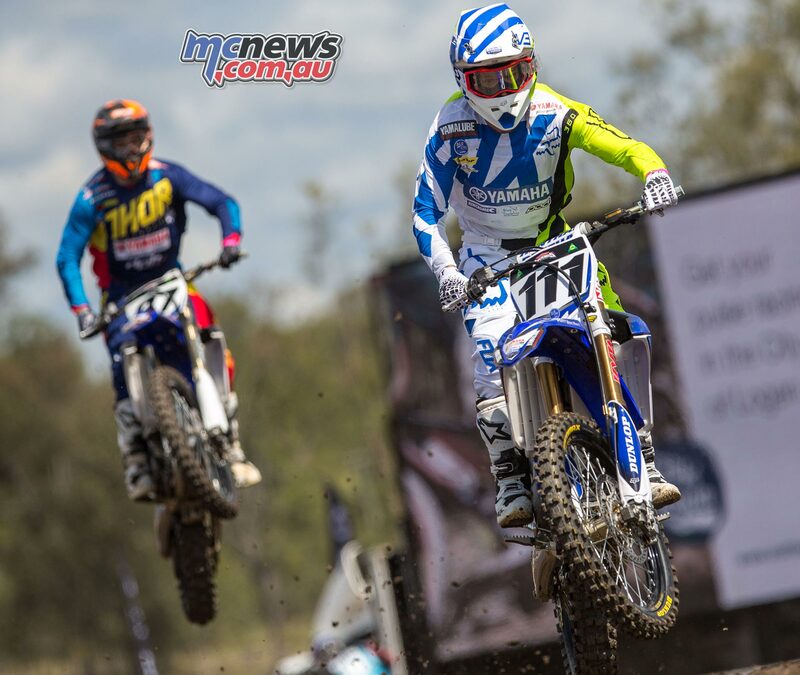 The Frenchman will ride his factory-backed Beta 300 RR two-stroke and hopes to give current championship contenders Kailub Russell and Josh Strang a running for their money. 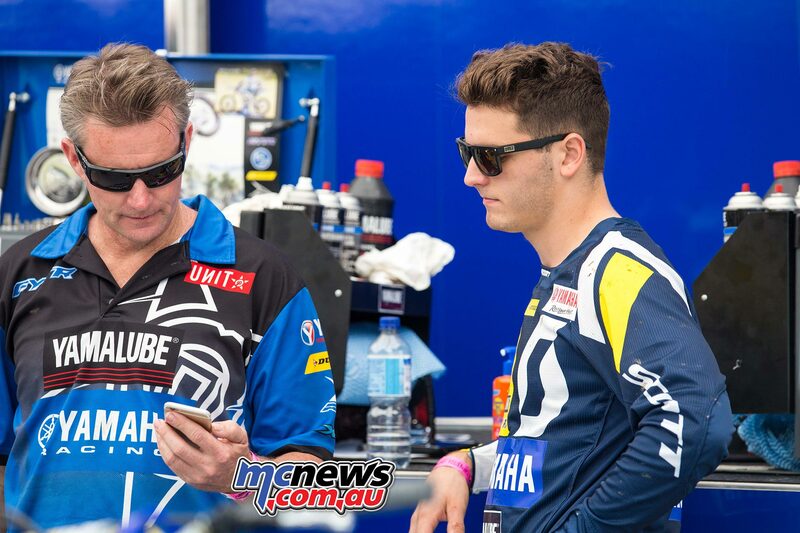 Belgium team manager Joel Smets announced on Instagram that Brent Van doninck will replace the injured Clement Desalle at this weekend’s Motocross of Nations in Italy. 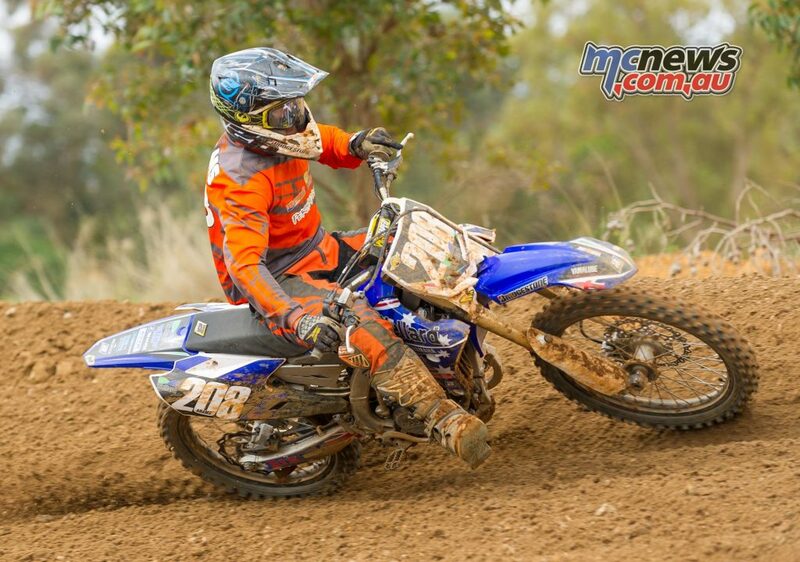 Van doninck, a MX2 regular, will surprisingly ride the YZF450 in the Open class. 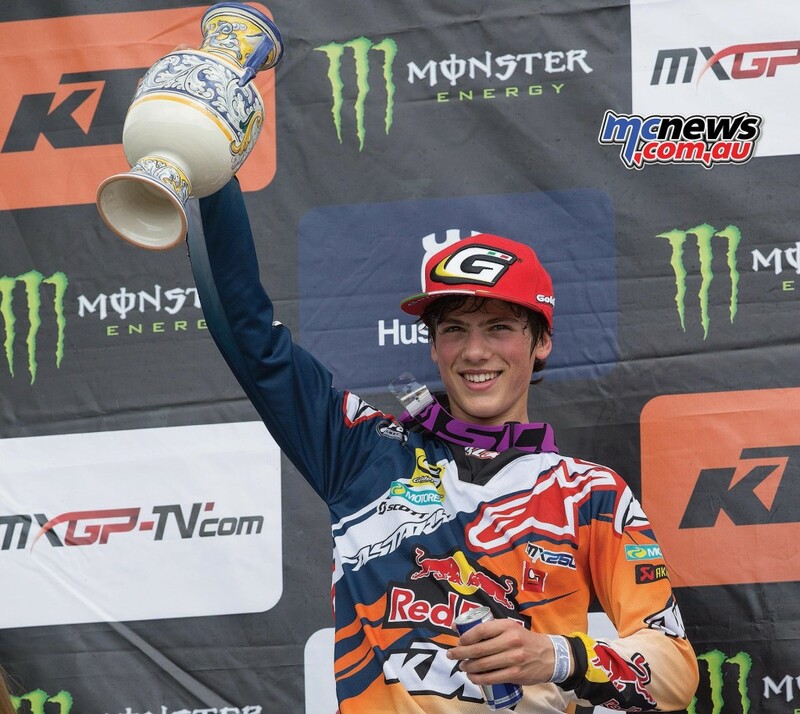 Spain has drafted Jorge Prado to replace the injured Iker Larranaga in the MX2 class for this weekend’s Motocross of Nations in Italy. 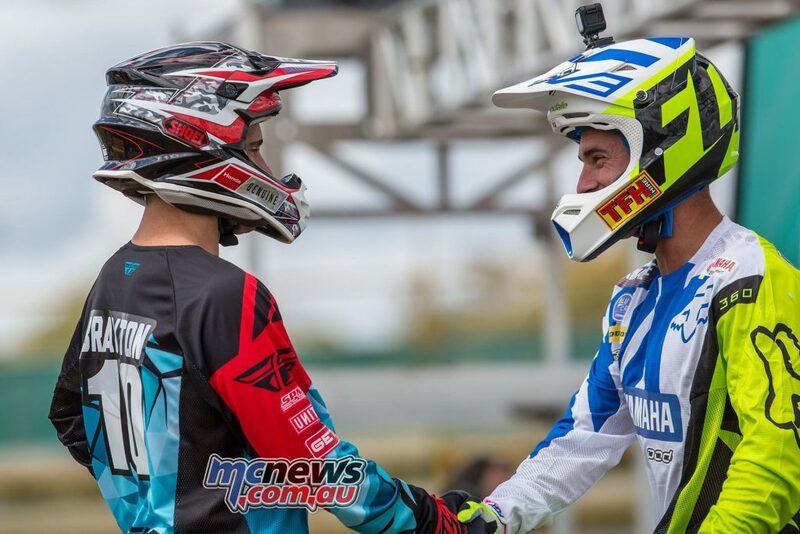 Larranaga sustained a wrist injury at the USGP at Glen Helen so Prado will join the previously announced Jose Butron (MXGP) and Jorge Zaragoza (Open). Tommy Searle and Adam Sterry have won the MX1 and MX2 classes respectively after the final round of the British Motocross Championships were held at Foxhills last weekend. 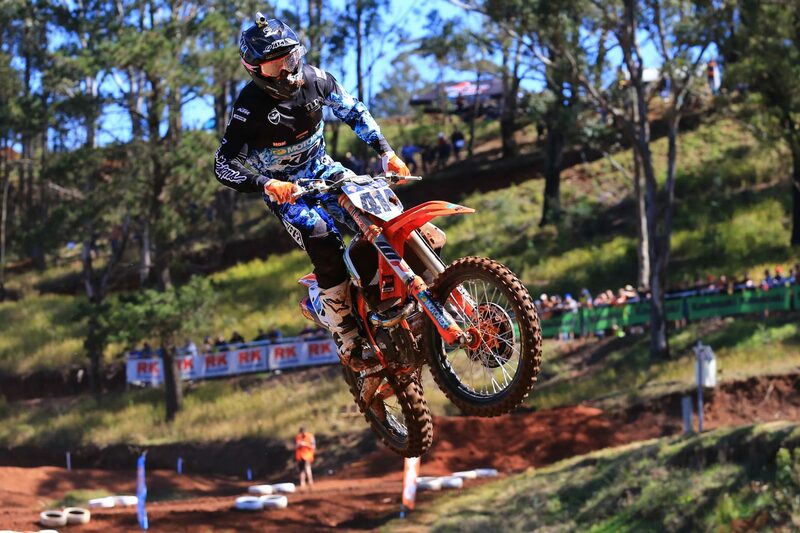 Sterry was well ahead in the MX2 points going into the final round and wrapped the title up with 1-7 results but Searle needed to earn two solid second placings behind defending champion Shaun Simpson to narrowly wrap up the MX1 title. 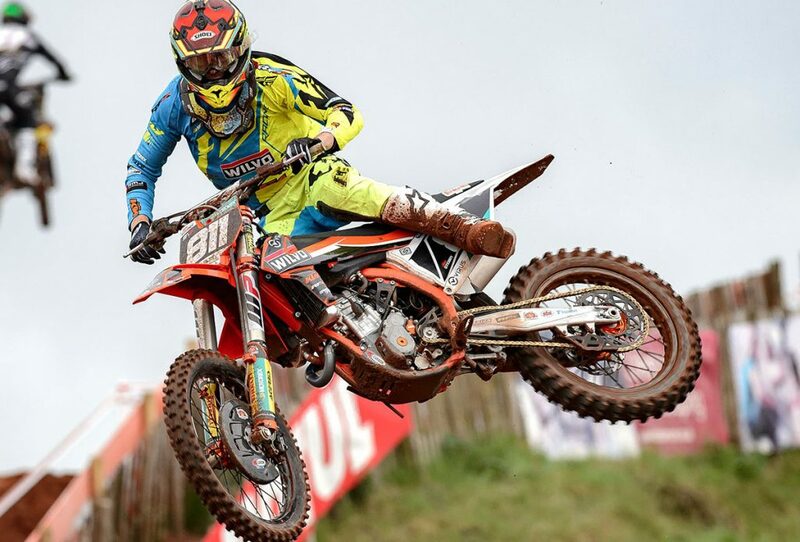 Searle, Simpson and Sterry now head off to the Motocross of Nations to represent Britain and all three riders are in good shape and in top form. 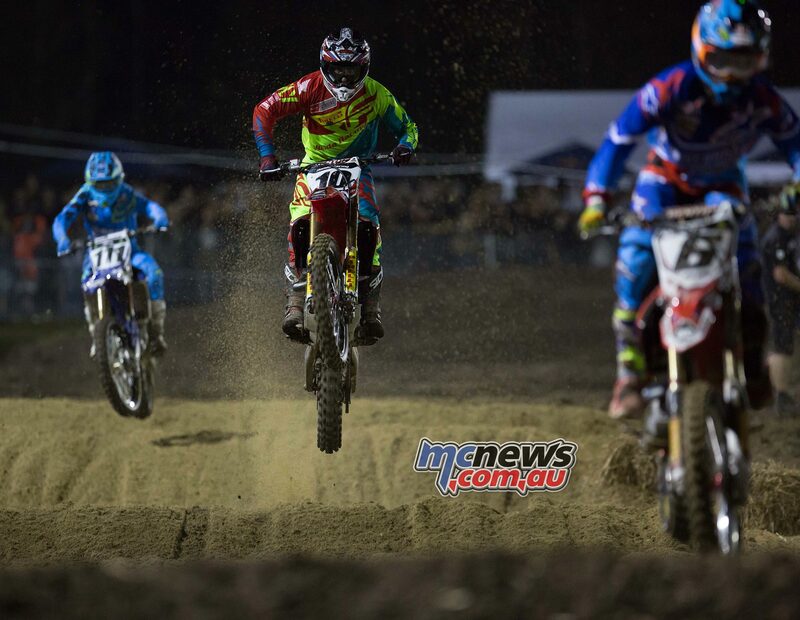 In front a large and parochial crowd, American Honda riders Justin Brayton and Gavin Faith have taken first blood in the SX1 and SX2 classes respectively at the opening round of the Australian Supercross Championship held at Jimboomba last Saturday night. Kyle Peters topped qualifying ahead of Justin Brayton, Daniel Reardon, Wil Hahn, Todd Waters, Dean Ferris, Kade Mosig, Jesse Dobson, Lawson Bopping and Jay Marmont but it was Reardon who won the opening heat ahead of Waters, Bopping, Mosig and Jay Wilson while Brayton won heat two ahead of Ferris, Hahn, Marmont and Luke Wilson. 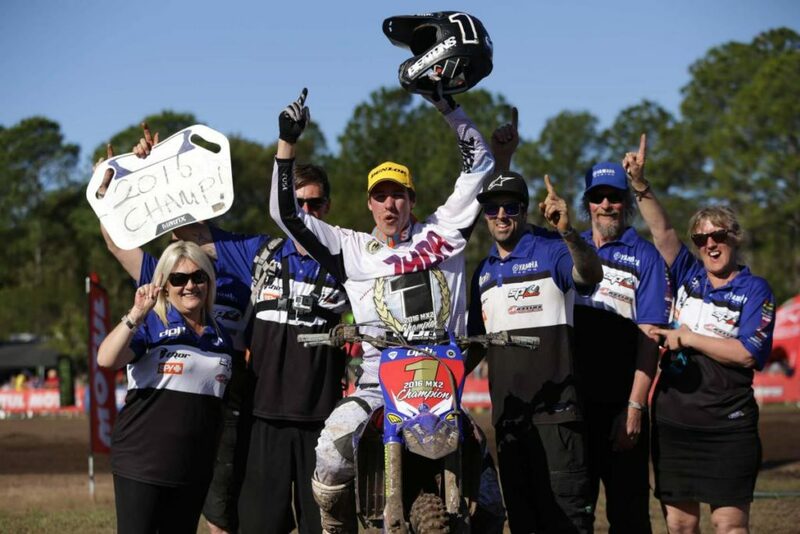 Brayton started the main event behind Ferris and Hahn but by lap three the Honda pilot pushed his ‘old’ 2016 model CRF450R to the front and the former BTO KTM and JGR Yamaha factory rider didn’t even come close to relinquishing the lead to take the win and maximum points ahead of Ferris and defending champion Reardon who made easy work of Hahn to earn the final spot on the podium. 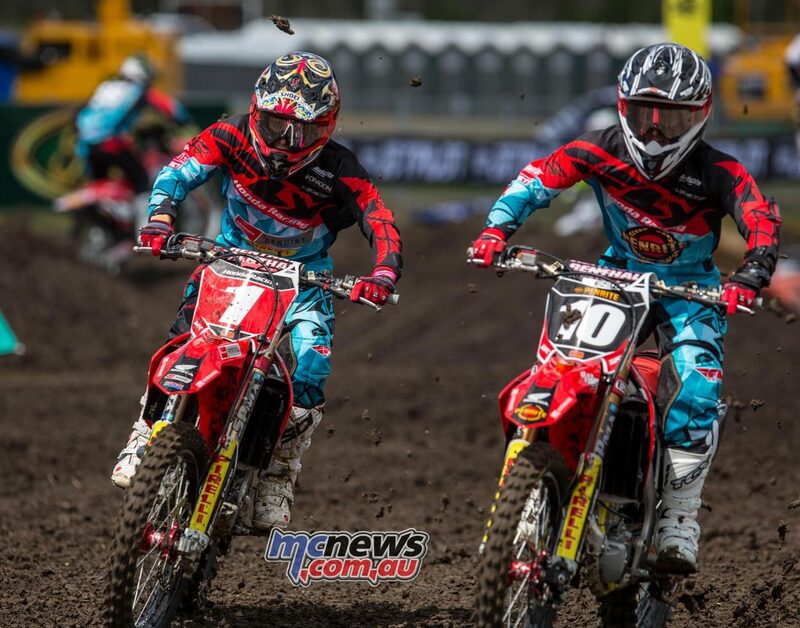 Honda competitors will likely be on the 2016 model Honda for the entire Australian Supercross season, as while most other brands have their 2017 machinery already on the racetracks and in showrooms, Honda’s new weapon is not expected to land Down Under until December. 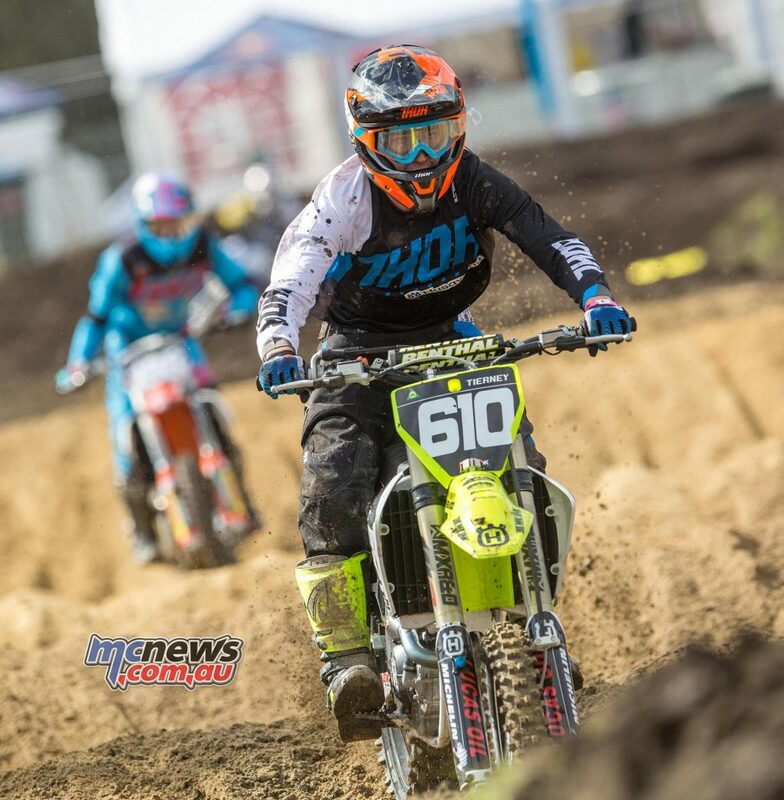 Todd Waters also made his way around Hahn for fourth place while Mosig, Luke Wilson, Marmont, Jay Wilson and Adam Enticknap rounded out the top ten. 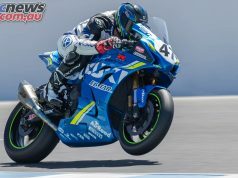 In fact, only six riders finished the race on the same lap as Brayton who registered the fastest lap of 48.987 while Ferris’ fastest lap was 50.583 and interestingly third placed Reardon carded a lap fractionally quicker that Ferris with a 50.560. 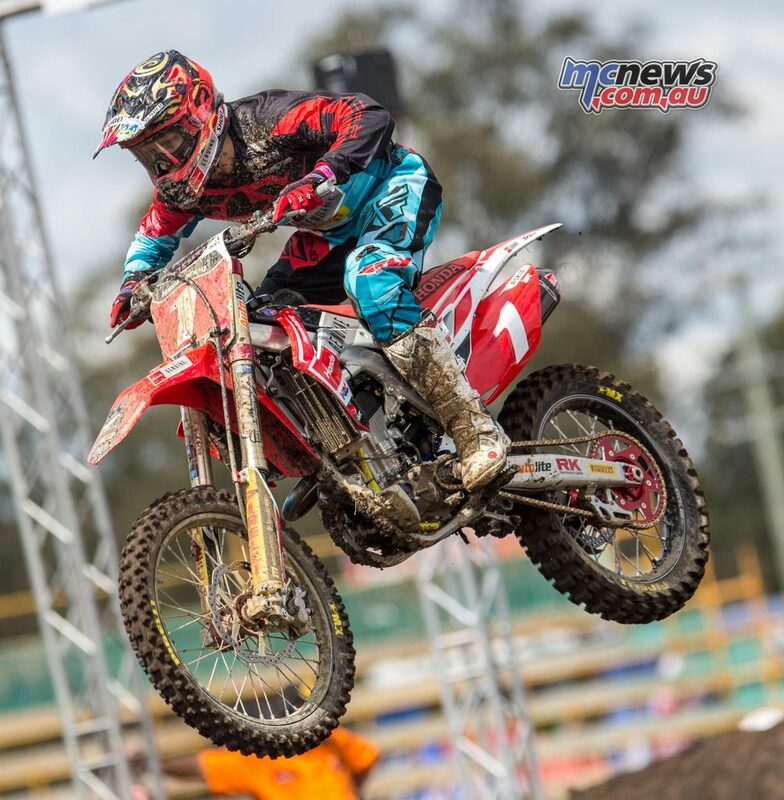 Gavin Faith took some time to get his head around the track and his new Honda but the two-time Australian Supercross Champion set the fastest time in qualifying ahead of teammate Jimmy Decotis, Wade Hunter, Jackson Richardson, Mitch Evans and Hayden Mellross. 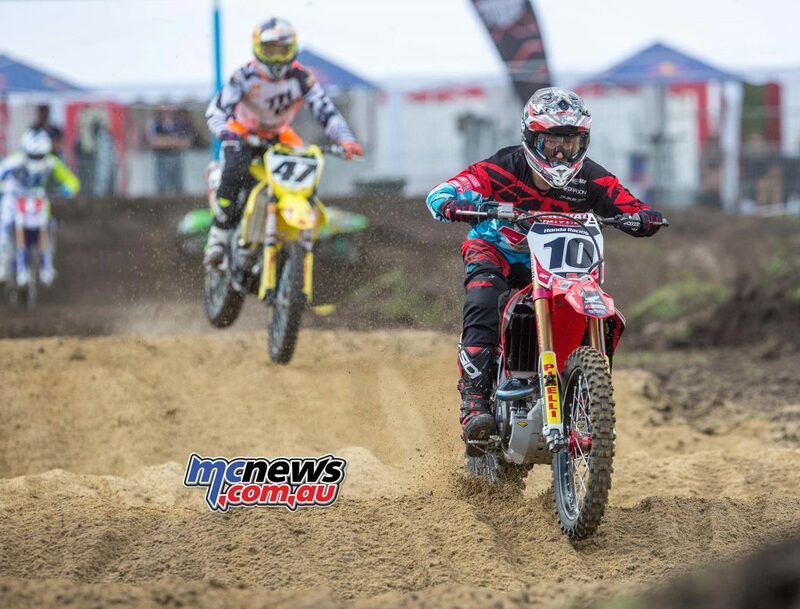 Faith went on to convincingly win heat one ahead of former wild child and new teammate Josh Cachia who in turn beat Geran Stapleton, Wade Hunter and Mitch Evans while Mellross won the second heat ahead of Richardson, Kyle Webster, Dylan Wills and Decotis. 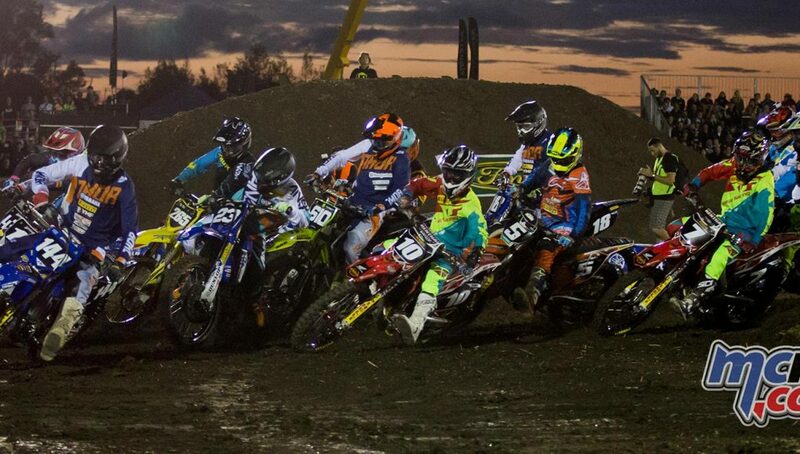 Twenty riders lined up for the 15 lap main event and it was Faith and Mellross who ended lap one in the 1-2 positions and that is where they stayed throughout the race but the action behind was led by Hunter and Decotis. 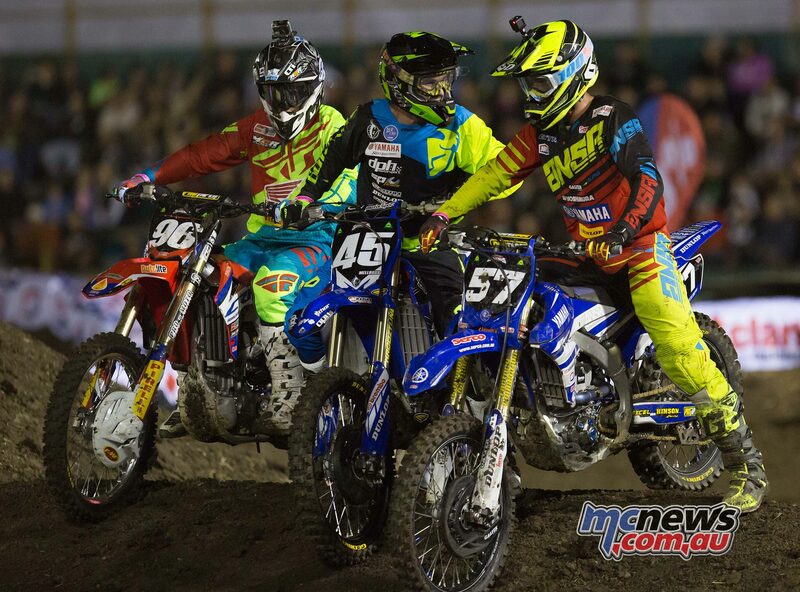 Hunter started the main event just inside the top ten and blitzed his way to the final podium position while Decotis started almost dead last at the end of the opening lap but managed to claw his way to what may end up being a championship saving 7th place and 14 championship points. 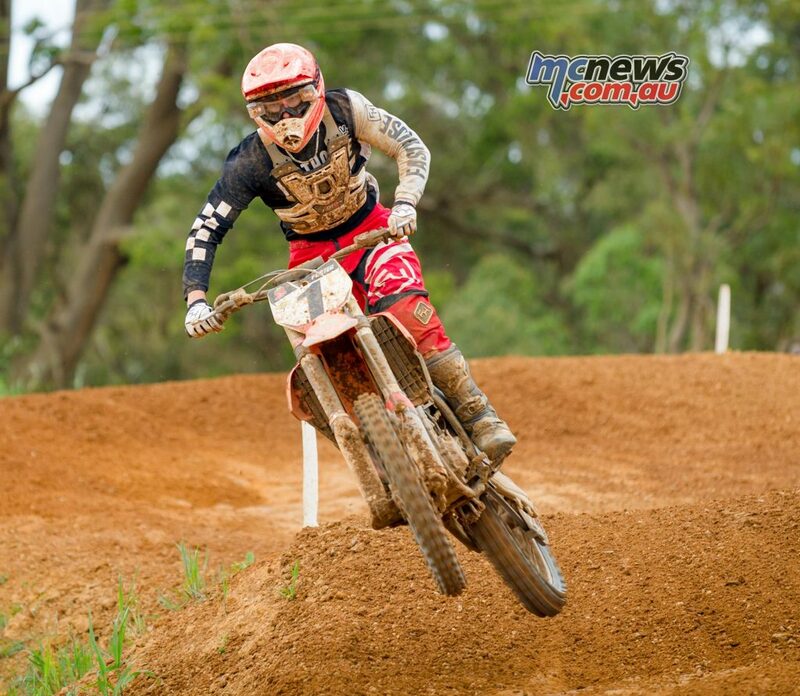 One rider who is coming back to racing after a couple of years off is Josh Cachia who started the main event in third place but dropped back to sixth place at race end behind Faith, Mellross, Hunter, Richardson and Geran Stapleton. The top 12 all finished on the same lap but is was race winner Faith who predictably carded the fastest lap of the race with a 50.745 while Mellross’ best was half-a-second slower with a 51.239. 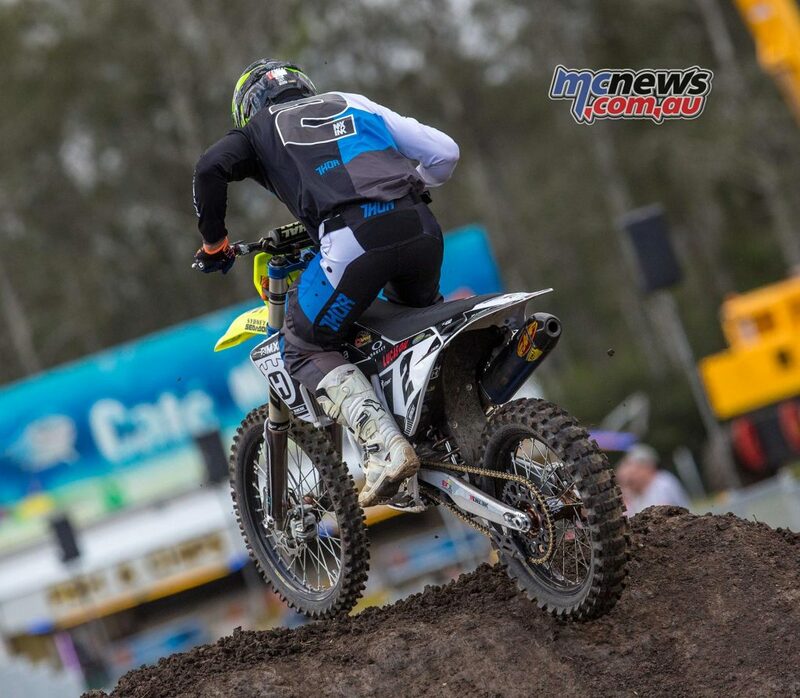 6th – Josh Cachia: “We had a plan and we exceeded it; I couldn’t be happier. 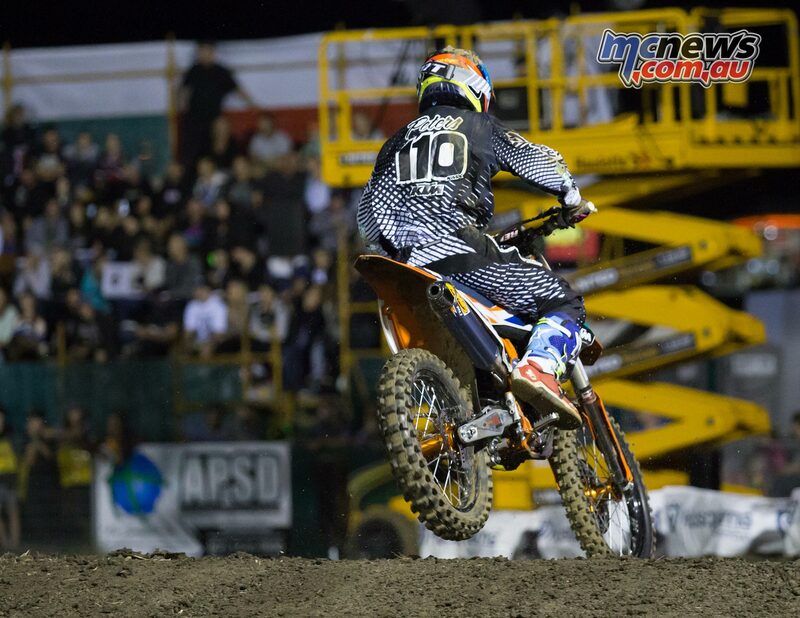 As I get faster, I find things that we can improve on the bike and in me. I am looking forward to getting back to work during the break”. 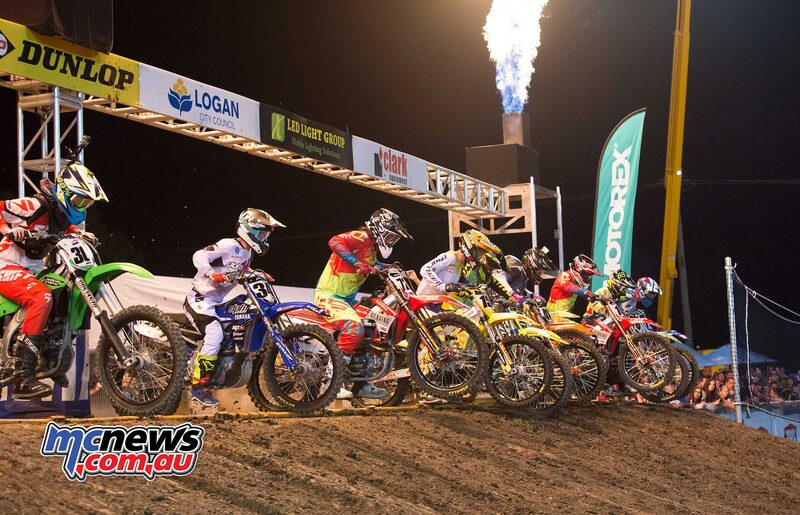 The two junior classes put on quite a show at the opening round of the Australian Supercross Championships at Jimboomba last Saturday night with second generation supercross rider Riley Dukes taking out the Junior Lites class ahead of Jye Dickson and Jy Roberts while Tyler Darby narrowly won the Junior 85/150 class over Sam Noonan and Josh Zorbas. 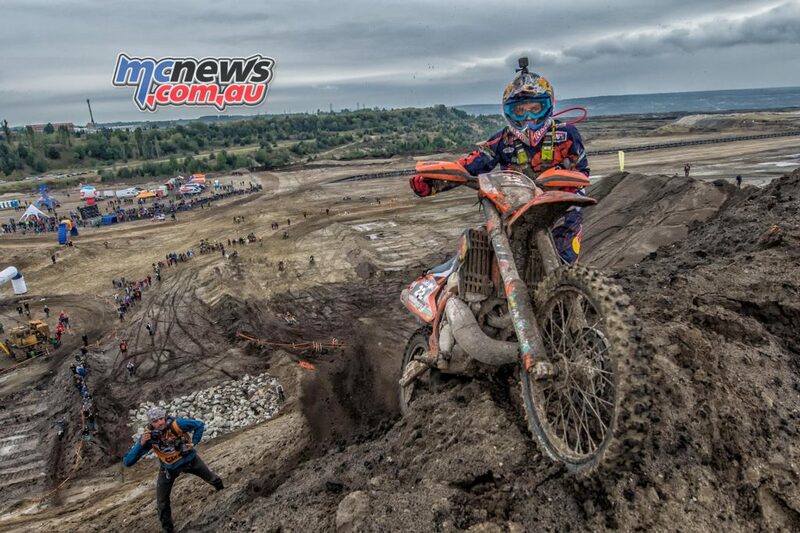 Jonny Walker clocked a total time of 2:47:27.77 hours to win the Red Bull 111 Megawatt Hard-Enduro held in Poland last weekend but it was a narrow victory with Mario Roman less than three seconds behind at the chequered flag while Wade Young was just a further 17 seconds back. 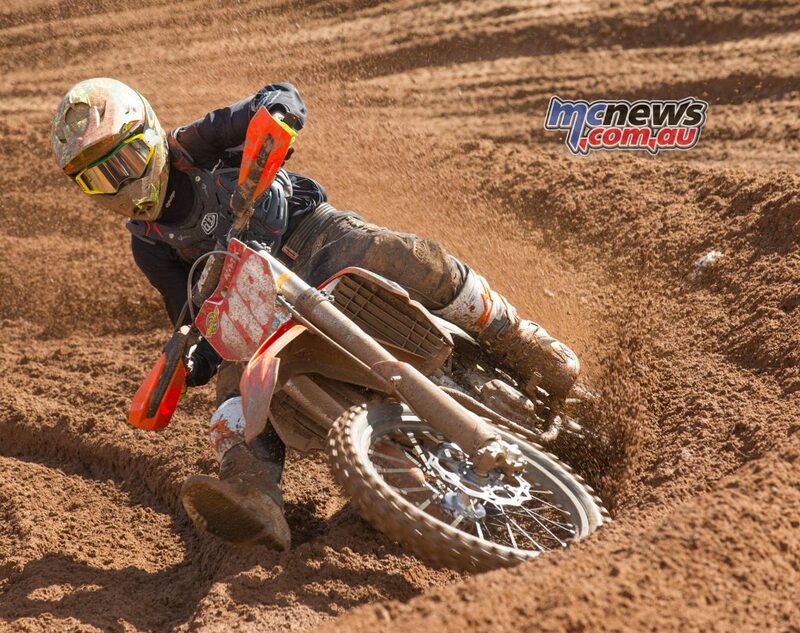 Walker was the fastest qualifier on Saturday on his KTM 300 EXC but torrential rain over night saw conditions on Sunday deteriorate rapidly but it was Taddy Blazusiak who led the field early in the opening lap with Walker close behind and it wasn’t long before Walker took the lead and the eventual win. 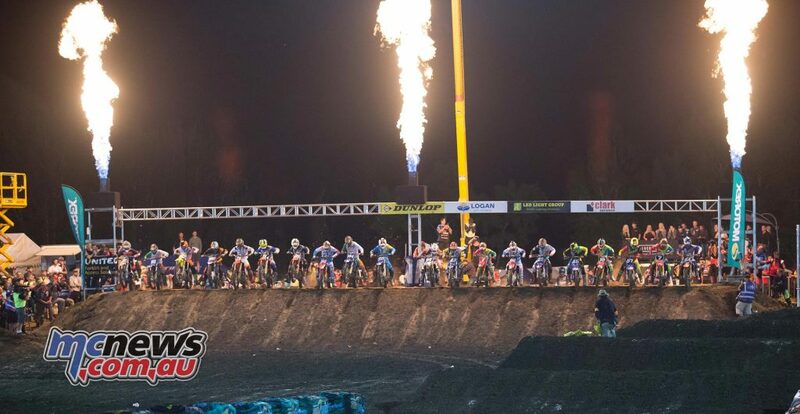 Taddy said he was pleased to have played a part in bringing the event to Poland, and to give the Polish riders a chance to compete in an international event. 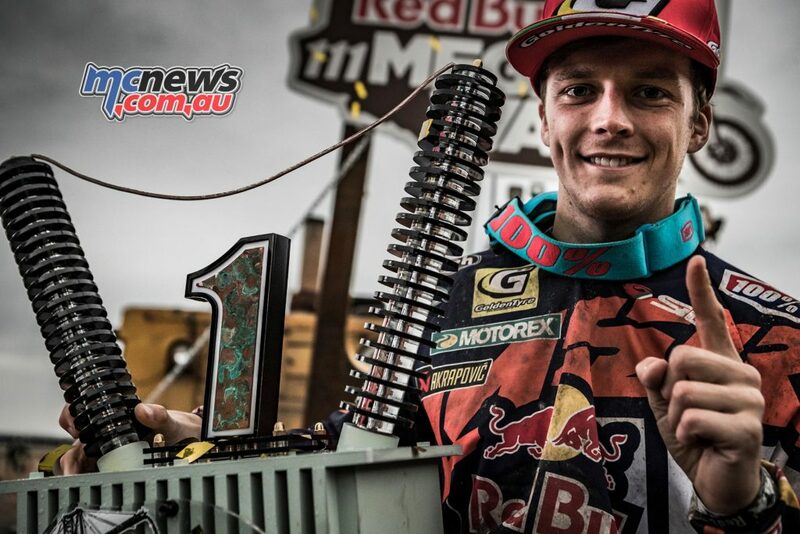 Red Bull KTM Factory rider Jeffrey Herlings has had his first championship ride on a 450cc machine to win the last round of the Belgian MXGP championship with 2-1-1 results ahead of championship leader Kevin Strijbos who got the better of Herlings in the opening moto while another Belgian in Jeremy Van Horebeek finished third. Strijbos went on to take out the championship ahead of veteran and former GP winner Steve Ramon. 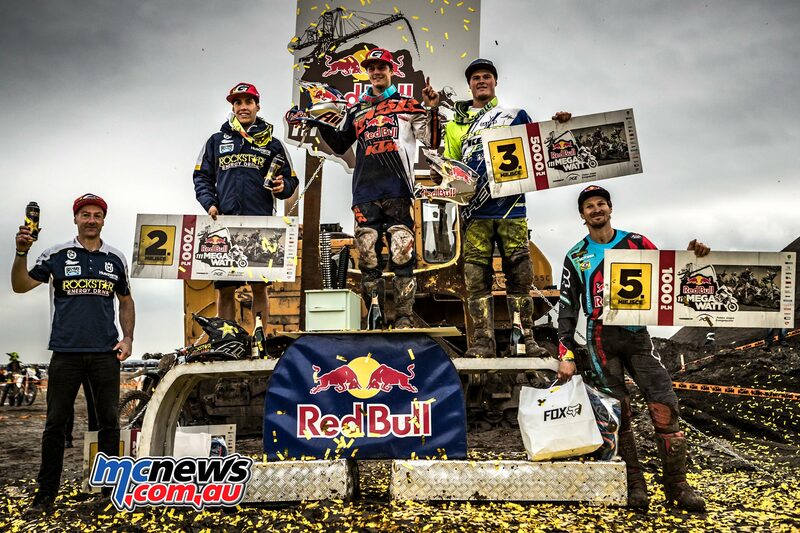 MX1 Overall: 1. 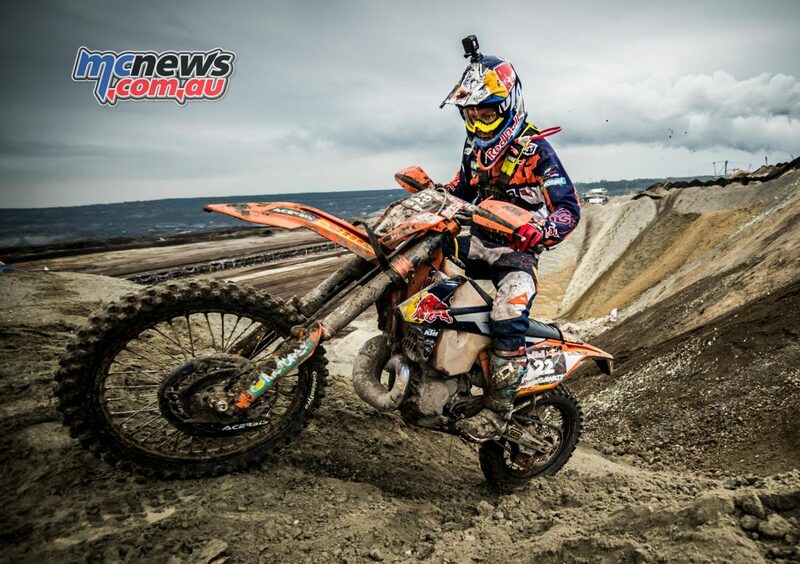 Jeffrey HERLINGS 22 + 25 + 25 ; 2. Kevin STRIJBOS 25 + 20 + 20 ; 3. 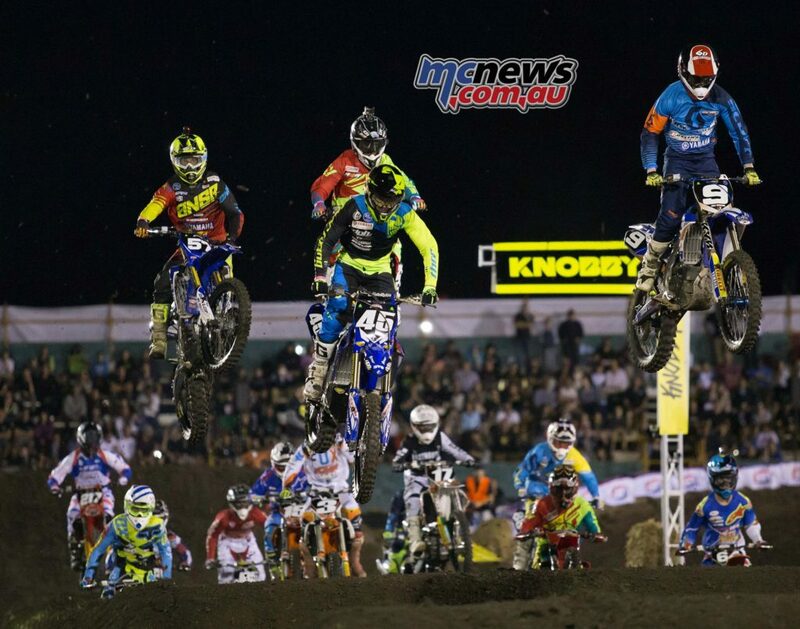 Jeremy VAN HOREBEEK 18 + 22 + 22 ; 4. 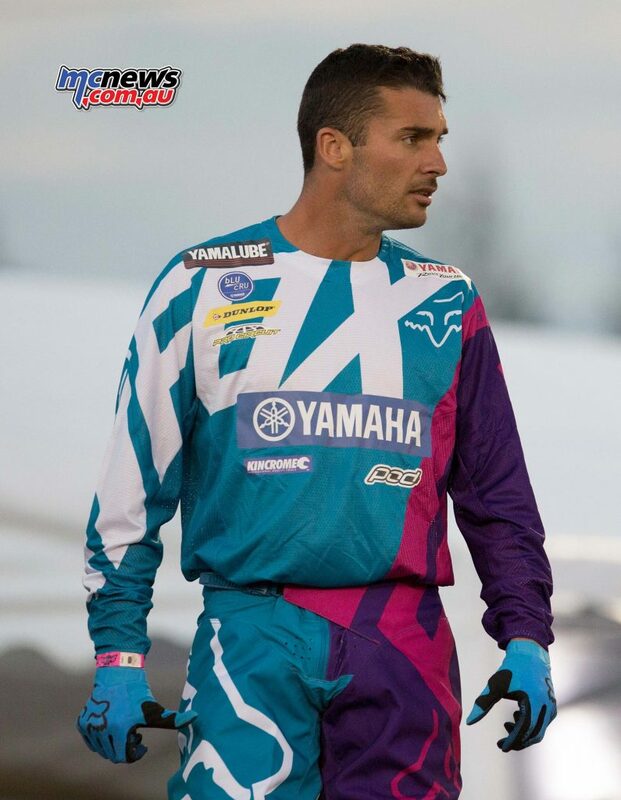 Steve RAMON 20 + 18 + 18 ; 5. Jens GETTEMAN 13 + 15 + 16 ; 6. Andy TRUYTS 14 + 16 + 14 ; 7. Dennis VERBRUGGEN 16 + 12 + 15 ; 8. Robin BAKENS 10 + 13 + 13 ; 9. Brent VAN DONINCK 15 + 14 + 0 ; 10. Jaimy DELEERSNIJDER 11 + 5 + 12. 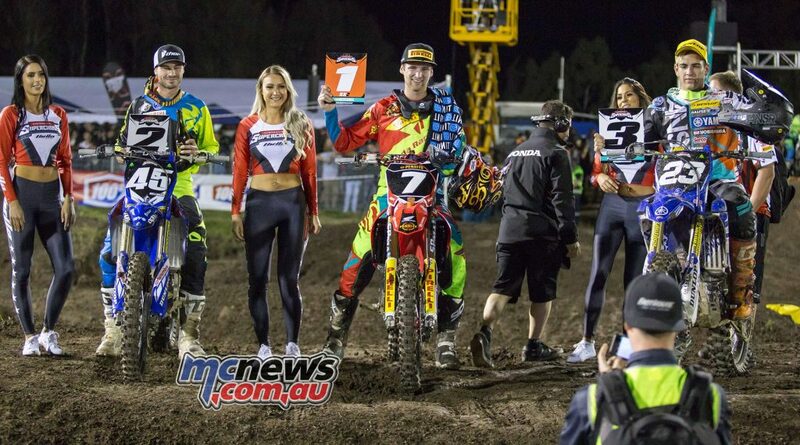 Final MX1 Championship Standings: 1. Kevin STRIJBOS 191 pts; 2. 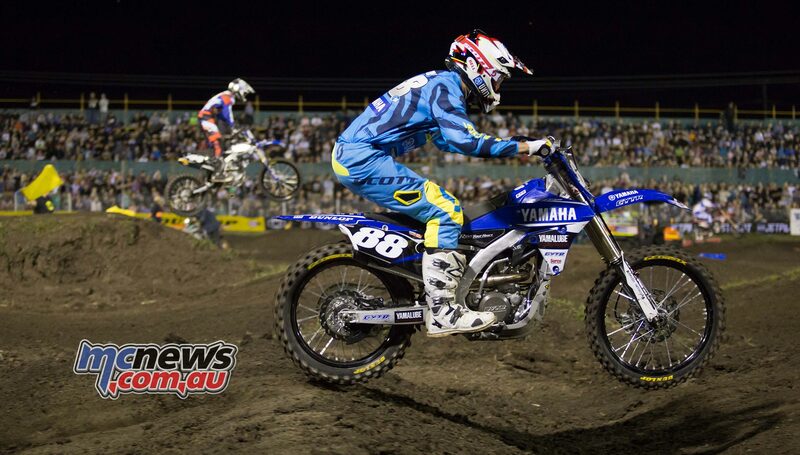 Steve RAMON 178 pts; 3. 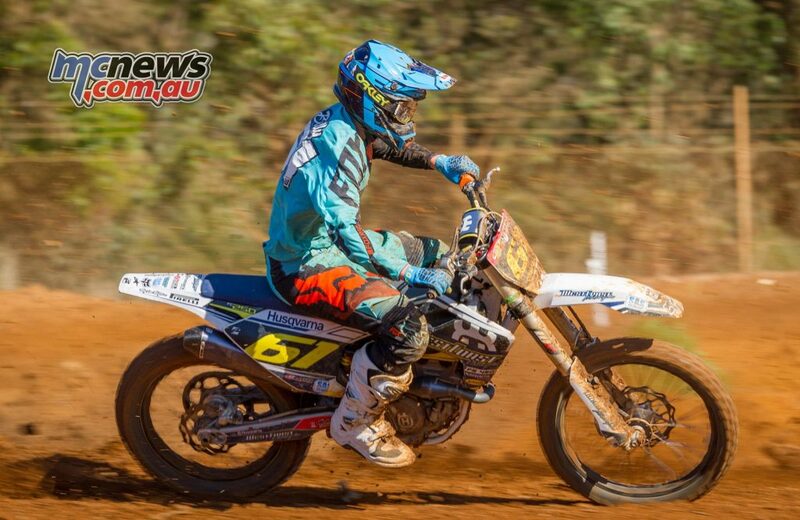 Brent VAN DONINCK 165 pts; 4. Jeffrey HERLINGS 147 pts; 5. Damon GRAULUS 129 pts. 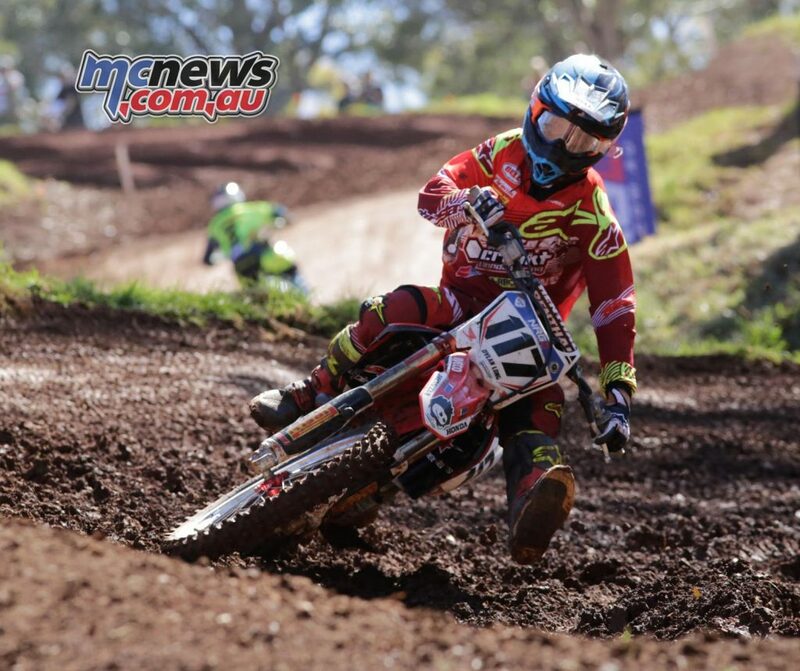 The final round of the WA Motocross Championships were held at Byford last weekend and after six hard fought rounds 12 champions were crowned with Rockingham bricklayer Dean Porter taking out the premier MX1 and Josh Adams the MX2 championship.